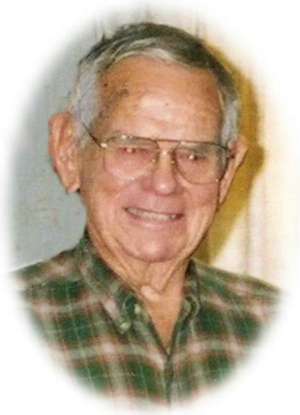 Obituary – Ellis, Harold Duane « Perry High School Alumni Association, Inc.
﻿Wrestling ’42-’46; F.F.A. ’42-’46; F.F.A. Secretary ’44-’46; Student Council ’42-’43; Teen Town Council ’44-’45. Harold D. Ellis, 79, of Perry, Oklahoma, was the son of Joe Claude and Bessie Bertha Brigham Ellis. He was born on May 12, 1928 in Enid, Oklahoma and died Tuesday, January 1, 2008 at the Green Valley Nursing Home in Perry. 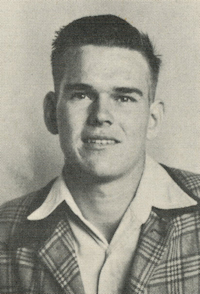 Harold was a 1946 graduate of Perry High School. On May 26, 1950, Harold married Erma Carol Jerome in Perry, Oklahoma. He was a member of the Lucien United Methodist Church. He enjoyed fishing and farming and his first love the oil field. Funeral services will be 2:00 p.m. Friday, January 4, 2008 in the Brown-Dugger Funeral Home Chapel. Rev. Dane Lemmons will officiate. Interment will be in Grace Hill Cemetery. Services are under the direction of Brown-Dugger Funeral Home in Perry. Memorial contributions may be made to the Lucien United Methodist Church in care of Brown-Dugger Funeral Home, 1010 N. 7th Street, Perry, Oklahoma 73077. Harold is survived by his wife, Erma Ellis of the home; four sons, Jim Ellis and his wife, Teresa, of Stillwater, Oklahoma, Marty Ellis and his wife, Ruth, of Edmond, Oklahoma, Leon Ellis and his wife, Treasa, of Katy, Texas and Don Ellis and his wife, Kandy, of Valley Center, Kansas; eleven grandchildren and one great-grandchild.